No doubt, our country, India is the birth place for best vastu specialist (In India Vastu specialist is called as Vastu Guru / Vastu Pandit / Shilpi / Silpi / Siddanthi / shastra / sastri / Vidvan / Vidwan / Stapathi / Sthapatya / Achari / Teacher / Wala / Shastri / Adviser / Vastu Acharya etc). This is an occult science / supernatural experience, like Astrology, Palmistry, Numerology etc. Here interpretation of the observed phenomena is conditioned by the circumstances of the resident. A Vastu Consultant should be able to gain the confidence of the inhabitants to the extent that they become one unit in terms of looking for the best for the residents. Towards this end, both the residents and the Vastu Guru should be able to trust each other and keep the transaction clean and clear and successful, with this both will be succeeded. Vastu Guru in this field should not look for opportunities of earning from the residents. In the same way, residents/people who seek genuine consultancy should not expect such services go unrewarded for free advice would eventually become cheap advice which does not help the need to have close friendship of Guru and the residents. Residents who are in a position to seek extensive advice should be in a position to pay the fee of the Pandit so that he does not feel sleighed. While in the visit an unhappy Guru is a bad omen to the residents. This is elementary. Notwithstanding the fee portion of the relations between the Pandit and the residents the pronouncements of the Good Vastu Specialist should be ethically correct and appropriate, here appropriate does not mean compromise. It means that Vastu Pandit takes into account the current state of affairs with the residents and makes recommendations accordingly irrespective of the fee component. Thus both the parties should be clean and honest in their transactions. We should notice that the master always expressing or providing asseverate candid reports or opinions against the flaws. Many people avoid taxes in many countries or trying to avoid to pay exact and honest taxes to the Government. This policy is successful to some extent. Inevitably they will be caught and consequences in future may be disastrous. We are aware of the same. In the same way non-payment (DAKSHINA / Payment / Fee / Sambhavana / Charges) to the Adept whatever be the amount is unfair. The contractual obligations should always be honored particularly when you recognize that the vasthu is occult science. We don't want to scare you but we advise you that following fair ethics in all transactions is beneficial in the long term. We should be never be defaulting in our payments towards God (In this case temple or Poojari/Archaka), Doctor, Teacher, Vaasthu Pandit. This is patently wrong. Discharge your obligations immediately. Don't expect Vaastu results if your own behavior is unethical. One should not have any outstanding payments to God, temple pujari / archaka, Doctor, Teacher and Vasthu Pandit. What happens if one fails to pay money to these above, there is every possible chance in "lose their position", "lose their money", "opportunity failures", "bad name", "has to face the unsolvable issues", "suffering from severe decease", "Defame", "unpopularity" and "health issues" etc. How to respect the above forces in our life, discharge your obligations by paying up immediately what is contracted upon. Don't go to ATM center before them. Make ready money before the program starts in terms of vaasthu professional. We should not keep them to wait even a minute for the money. It's not a sign of good luck if he waits for the money. If you pay the money, ONLY MONEY after completion of the visit, it's nothing but you would get blessings from him. As a matter of fact, it is good behavior on your part to pay a little more than what is contracted. This payment will not go unrewarded. As to how much depends upon your financial situation and availability of funds with you. Give him a tangible gift while leaving. In any case, see that he goes happily from your premises. Don't hurt him even remotely. He should be treated well mannered then automatically residents will get blessings from natural powers. Every human being should understand one thing here, this vastu science is nothing but nature. Nature always packed with many unknown divine principles. Respect nature, respect vastu guru. The vastu pandit has to leave your premises with happiness. Then nature will be happy. Once nature will be happy, then things go smooth. God's ultimate reward is GNANA (The Knowledge). Likewise, nature ultimate reward on you, the peace. Respect vastu guru, experience the peace. Please note that select only the best genuine vastu pandit. They only had such powers. It's not possible that all Gurus are providing 100% results, some may provide exact recommendations, somebody may fail. If you got failures, don't fight with them, just not to go with them and its better to explain them about your failures and ask them is there any chance to recollect what exactly they had recommended you etc. No Adept in this field may dare to wrong guide the inhabitants here. They don't spoil their name with wrong guidance, so what we are suggesting you here is, please select only the best vastu specialist, select ONLY THE MASTER in this field. Don't look for the cheap prices offered by some guise quacks in the market, that would be yours first wrong step. Genuine Vastu Guru payments always are high. Deft visiting from such a long distance, so respect them with unexpected more money or gifts, at any cost doesn't forget payments to them, particularly those who came from distant journeys. If in case, you have forgotten to pay consultants fee or in any reason you missed to pay their money, just add something more money and send them quickly, don't late when it came to your notice. If residents working/settled in any other/foreign country and looking for online consultation, first pay the money and then only seek his advice/recommendations/suggestions, sometimes if for any other reason, not possible to pay before the consultation, then after completion of the consultation immediately pay money to him. Don't be late at any cost. Somebody may look to cheat consultants by taking consultancy and not paying their consultancy charges, it means their bad luck is very near to reach them. We should all learned that here consultant is not losing anything except his time and some very small expenditures like using the electricity charges, internet usage charges, rent for the office premises for that time etc, If residents got good results the first person to feel happy is the Vaasthu consultant. Its 100% true. If resident did not get any good results within the prescribed time then the first person to get pains is also that same Vasthu consultant, it's also 100% fact. The same may be vice versa when you select a quack in market. Somebody is postponing the payment with many reasons or somebody wantonly delaying in paying the fee, this is an absolutely wrong decision and one should be prompt in paying money to the Vastu Pandit at war foot basis. What exactly they may face when they avoided paying money after getting the consultation, time/fate is there, it will explain what exactly they experienced after avoiding vasthu service charges. We have two experiences, after getting our consultation, wantonly these two clients were avoided in paying our fee, within a span of one month the first client rush to pay our fee and asked excuses, we don't know the reason. In the second case the client is unable to do the corrections though he used all of his resources to move that work, but unable to done it even after 1 year. He understands what is the cause and immediately paid money after getting this very bad experience in their life. It's only because of "DHARMA", only the power of Dharma. The honest skilled person never do anything except praying Dharma to collect his consultation money, so the FATE will take the charge to collect money. Some body are so intelligent and smart, after getting consultation, to avoid payment, they says that "builder is not ready to built the properties", "the lot is already sold out", "we done mistake in selecting the wrong lot", on the same way these householders are wish to pay thousands of dollars to the layout developers, Engineers and Builders though the work may be unsuccessful, but they never feel generous in paying money to Indians or Indian consultants or thinking several times while paying money to Indians. Fortunately now in India, people are getting the fancy number of income, nobody looking help from others. Most of Indians are well established and in good position. So what we request here, don't wait for charge of the Fate. Do pay immediately and avoid to see the superfluous circumstances. In some case, residents may not pay money before their family members based on many reasons, in certain cases, cash may be put in a cover and handover the same to consultant, if this method is also not possible then handover the same cover in the vehicle only when you are dropping the vastu pandit into airport or railway station or bus station. If this is also not possible then do transfer money to their bank account on war foot basis, before that you may inform everything with the consultant about your position. In some cases, some residents ask consultants to pay money only when they receive something, this is also a sign of bad luck to the residents. Keep them waiting or pending for the payments is dangerous. If residents calling consultants to their properties, how can residents forget to pay money to them, how its possible, it means residents may be totally busy or wantonly avoiding payments. Residents have to make ready cash and then only they have to call consultants to their properties. In some cases residents pay through by releasing one bank cheque, this is also the wrong method. If you plan to pay through bank cheque book, the same should be informed to specialist prior booking appointment. Pay only liquid cash to the consultant at his visit to your properties. This is the precisely the absolute and fair practice of payment for Vastu pandits. The consultant should not be disappointed at the site/property/house/flat/factory. He should feel happy at your properties, then its a sign of good luck for you nearby future. Some MNC (Multi-National Companies) companies calling consultants and asking them PAN card, Voucher and Invoice etc at the time of payment. Don't follow these procedural systems with vasthu consultants. No need to follow this system. Ask him signature on a voucher, if he wish then take his signature otherwise don't press him for his signature on the voucher. Already we inform you that he should not be disappointed and unhappy at your properties. If consultants accept any other format like cheque, wire transfer into his bank account, Western Union Money Transfer, then you may definitely follow it, otherwise, 100% cash payment is always right procedure to get the good results at an early time. Stapathi should leave the premises with happy. He should be paid on spot with cash. This is an appreciated procedure. For example, if you are calling one pandit for a Lakshmi Pooja or some mantra chanting in your house or office, do you expect the receipt for the payment to him, how ugly it is. The same principle also applies here. If Stapathi got respects at your property, it means your good time is very near to reach you. Offer them some fruits, a meal, breakfast or snacks or even coffee or tea or milk or finally water at least. Don't send them back with empty hands or stomach. If he is not willing to take anything at your house, then don't press them to have food or drinks, otherwise, he should not work with an empty stomach. First, check his stomach, its resident's duty. If the service charges to Stapathi is still in pending, it clearly shows that most of your works may also be pending. If payments were cleared then there is a high chance to get your all pending works solved. Residents should not forget one thing, first, pay service charges to the Stapathi. Some residents calling a consultant for a certain fee, to say for example 10000 rupees, after completion of consultancy residents paying only 7500 rupees, this is absolutely wrong and they are doing a great mistake in their life. Those who are doing like such a way they will not come up in future and their position will gradually be decreased in the tomorrow. Before calling a consultant to your properties, first, make ready the cash and some food or beverages. If possible pay their Dakshina/fee/cash with some fruits or coconut or at least with some betel nut or betel nut pockets like Crane, Meenakshi etc. Some residents searching for Best vastu expert in India for "a to z Vaastu consultants", what is the use of searching for "a to z consultants", One person is enough for your property. If you are constructing the home with an amount of at least 25 crores then there is a meaning of finding "A to Z vastu Expert in India". If your property is worth of 2 or 3 crores then search only for BEST professional in the society. Don't approach 2 or 3 people at a time, it may create a lot of confusion. Fun is both of them will be benefited, you may be the looser. So best practice here is trying to find only the reliable Siddhanthi and request him to visit your property. Intelligent residents never check fee. Generally, consultants fee is very smaller when compared with residents income or assets, so why should inhabitants hesitate to pay to skilled people, and selecting the quacks, only in view of the fee. One should understand what mistake they are doing in their life. Just thought to save a smaller amount, and it causes, the most attractive chances in the life, future, money, time, opportunities and properties, and finally losing the life, don't compromise on this point, just follow only best Siddanthi in this field. Behave with politeness and your treatment should be a great memory to them. If residents followed this system, in the future they will be blessed with great opportunities. Who greatly respects professionals they will be blessed with golden future by natural forces. Don't see for the prices of the professional, don't compare prices. Your structures are not one month or one year properties, they are lifelong properties and you should be very careful when selecting the properties and vastu pandits, here vastu master means not the charlatan, by seeing the small fee and canard or false promises people generally approaching mountebank, but educated always looks ONLY for expert in this field, they know that cheaper payment means there should be the RISK. if Shahjahan would have taken quotation and gone for the LOWEST and LEAST PRICE"
Hope this is more than enough whether you are giving respect to your properties. Please read this most important information article "Results" after completion of this page. The entire observation should be in a friendly climate particularly it should be in pleasant,if it was done within a pleasant climate, residents will be gainers, remember always. Both Pandit and residents should maintain such a climate. Sometime he may have many programs in a day, or he may be too busy and given too much appointments. In this case, he may not satisfy all of his clients, he may always looking time and rush to need to visit other properties, so here the climate was disturbed by Vaastu person. This is the wrong method. Generally, clients requires to clarify their doubts with Vaastu people in their visit. So it is better, the residents has to prepare some notes or doubts on in a white paper or in a book and may ask those questions and get clarifications from the Adept, while it is so, if he is in rush mood, how the clients get clear all of their doubts, it may not be possible, finally it may happens to presentiment, peradventure is not good to be continue the consultation. If vaastu consultant is really busy and he may attend another program, then he has to prior intimate the same to all of his clients which he is visiting on the same day to all other properties and get ready to minimize the questions or postpone his consultancy date. As per pandit camps positions, clients may plan accordingly, they may call or may not call for the visit in rush moment. Urgency always spoils peace. Every body requires to become opulent, but this Vasthu work is not opuscule that we should not forget, some says that already followed vasthu but did not get any results, why results was not came, its only because of residents were not given any importance on the consultancy, if residents are serious in consultation, definitely they will experience changes in their life. Most of the residents choose only the cheap people who is available for very lesser service charges, how can be genuine Guru is available for cheaper price. Genuine and standard is always costly. Clumsy is always cheap, very simple to understand the difference. Professionals never leave any part in his consultancy, they will cover everything, he is more interested to know about when residents obtain good results. Always he is eager to hear good news from the residents. He is the most happiest person once residents experienced with good results. Genuine Vastu specialist will always feel the most responsible. So inhabitants has to select only the skilled vaasthu specialists for their properties, Adroit never hoax the residents any point of view. Some times residents also doing very wrong method, before consultation or at the time of consultation they are not hearing what consultant is recommending, they are concentrating on their mobile phone calls, SMS and no attention was made over consultation, please note that in this process resident will be the looser. If you are really having very important calls, then do simple technique. Please ask pandit to abeyance for certain time and complete your entire phone calls and your attention should be only with shastri guidance. If you are continue with your phone calls, shastri will definitely lost his interest on your property and may not be in attention to deliver the right suggestions. Don't spoil vaastu specialist concentration. His concentration is most important, don't spoil the peaceful climate. If this system is not perfectly followed and fails then residents will be the looser at this part. Most of the clients are innocent and they may not know much about this science. Based on this, quacks cheated the public and earn money by saying many wrong recommendations, due to this, clients may not get results, and finally, it turns to bad name to Vastu Shastra and genuine pandits also. We can say lots of examples why the innocents are attracted by this quacks, why the residents are lodestone by quacks fake promises. Normally, the quacks fee is very small, their words are so polite and they promise to solve residents issues within hours or within days. They are easily available at first, after consultation over, then they disappears. They may regularly changing their phone numbers. At first their fee is too small and after visiting the properties they mislead the residents with unbelievable words and terrorizing them by saying deaths in that house may happen or loosing all properties, to protect all these, quacks proposing the inhabitants for Yantras or Poojas, the innocent residents easily hanged in this net and loosing their hard earned money, they never complained on them, they keep calm and silently suffers with cheating. It is due to their house erratic construction, such things happen. ( Click here Vastu link to see how Mrs. Karthika cheated and fatigue with one vagrant Vastu specialist). This system has to be changed. We are enlighten the public and publishing the secrets of Vaasthu shastra here. Everybody has to enjoy this freedom. In some particular places or houses, there may be really some very bad things which may lead to deaths, in that case, the genuine consultants also strictly warn and ask inhabitants to do the corrections on war foot basis, if they propose the yantras, then their price will be unbelievable cheaper prices. That is the Adroits behavior. Most of the residents now never looks for the quacks in the market, generally, Adept prices may be costly, if you feels that price is exorbitant then you may try for others. Every body requires money to live, if satisfactory payments were not offer, no skilled person is available. Real Professionals don't drag money in other form. They charge only for their genuine services. Advocates, Doctors, Engineers etc have a proper degree to run their profession, but here, there is no degree mandatory for this subject in India. That is why any body can say that he is a Panit. Now a days a new system developed that, some body reads two or three Books and later they will adorn one board that "Vastu Specialist". Who saves the innocent public, how residents knows that he is a Master, how the inhabitants knows that he is experienced or inexperienced, blindly they approach some quacks and loosing so much, generally, the quacks are intelligent people, they charge only a very small amount at first, while in their visit they terrorized the residents that they must do some poojas otherwise residents may lost their money or properties or some thing or life etc, by hearing these words generally residents will get frightened and paying the quacks demanded money and doing the unnecessary poojas or purchasing some yantras or thantras, please be aware of this cheap techniques. Genuine practitioners never do practice such cheap techniques. No need to ask or enquire about degrees of Masters in this field. These people are stick to one point only "Dharma", may be their charge is costly but they will serve with right solutions and feels responsible on their client properties, once the inhabitants done the changes recommended by the Siddanthi then residents will get good results gradually in the future and avoid experiencing losses. We are discussing about Genuine people here only, not the so called Specialists. From past 50 years many Sthapathi's working for the society development. They does not have Degrees in this Subject. But they are all succeeded in this field, by knowing broad information on this services of many masters, no need to check their Scholastic aptitude test or Scholastic assessment test, some may be adamant, only because of their practical knowledge on this science, they are most respected in the society, please note that people always looking for the Results they are not looking for the bookish knowledge people, that is why most of the residents enquiring about adept or ace or skilled person to solve their problems. Vaastu shastra is not a Mantra or Tantra or mystery, it is a open science. (matter is from www.subhavaastu.com). Genuine professional requires only his clients security and prosperity, may be his charges some thing are more when compare with others. But he may be always right. 999 vaasthu people out of 1000 doesn't have authenticated degree. But we should not blame them. Because in India there is no need to have degree for this practice. Otherwise, every body can obtain proper degree from Government authorized universities. The skilled professional can easily identify the defect of a House or plot or flat or Factory within a short span of time, their ideas are firm, the quacks are seriously thinking how to drag the money by saying Yantras or astrology, because they are incapable in finding the mistakes and giving solutions on spot. Specialist must have atleast minimum 5 years experience to visit the properties for verification, without having atleast such experience then he may not suggested to visit the properties on the commercial basis, so residents should enquire about their standing experience. More experience means residents may expect more Good Results from them. If one Vasthu Siddanthi is having above 10 years means, then he may be the right person for your requirement. If one Guru is having 15 years of experience, you may expect 100% outcome from them. You may ask them about their standing in this field. Now in India this science exposed to most of the remote areas also. By knowing this fact some tried to visit homes by saying that they are Master. Beware of their knowledge. Regarding this website, our website founders started practicing this subject in the year 1992 and visited 10 countries and rounded most deep corners and remote areas in India. We have clients from almost all parts of the world, except Greenland. Only in USA more than 2000 residents supporting our website. Our strict standards is the cause for all of our victories. With the graces of God and respectable residents, all are happy and recommending us to their friends and relatives. It trails the value of our responsible consultancy. From the starting point of our consultancy, we are doing free services to Indian Army, Freedom Fighters, all Government Offices, through this website, also occasionally announcing free services to all mavourneen visitors of our website. We wrote 14 Books. Having vast Vaasthu knowledge and explaining the depth secrets of the great Indian traditional science to the world on free of cost. Most of our clients appreciated for our relentless efforts, to bring them a famous character in their living area and in the society. Our entire career filled with heavenly nature walk in this science, in consonance with cherished ideal, of relieving the great science from the clutches of a few selfish individuals and to make it available to one and all, with the ultimate objective of universal peace and prosperity, the world famous Street focus book in Telugu / English language which brakes all records in Books. We find that some pseudo Pandits trying to copy this website content with images and published in their websites and stating or claiming that they have written the subject. We have clear proofs of their copy of our website content. We sincerely request such persons to understand this great science and arrive at firm conclusions of their own by experimenting the same on their own residences, before propagating and misguiding the gullible public or hoi polloi. Experienced Professional can easily identifies all the defects of a property within a span of Seconds or Minutes. Time may taken for the solutions based on residents accommodation of corrections as per their limitations. Whereas the quacks diverting the innocent public by saying that they have to do Poojas or wear yantras to overcome from their synthetic bad issues which never thought to be solved. Please note that there is no Master in this science, there is only one in this universe, he is GOD. Yes God is the real Master in all fields and in this subject too. We are all students. That is why Mr. Suresh always stating that he is a student even though he rounded many countries in the world. Unfortunately, we lost some renowned famous best scholars in Andhra Pradesh like Sri. Mudragada Ramarao, Sri. Bogineni Venkata Rathnam and Sri. Ramabrahmam who served our society with latest research information. In Tamilnadu Sri. Ganapathi Sthapathi is a famous (stapathi) architect of traditional constructions. ("If you would like to consult Ganapathi Sthapathi, no worries at all, you may directly approach him for your vaasthu needs" - this line was published in our website in the year 2010. This means our main concept is people has to approach only Specialists in this field and this info was published to serve society with genuine Vaasthu people, so residents enjoy the real fruits of this subject). There are many Vasthu Siddanthis in India, which we have to find them and may contact them for vaasthu requirements. We will regularly updating this website, if we found any other trustful professional in India, we will update their information. We like to publish their names here, even though this website is guided by Vastu sastri Mr. RamaKrishna and Mr. Suresh. Our website main aim is people has to benefited with nature secrets for the happy life and genuine services. We respect ALL Vaasthu advisers, if you found any latest developments in this science and done researches, please post here. We publish your articles. We all one and has responsible to develop this science and finally, people has to be benefited, this is our final concept. Find the excellent Vasthu integrated property, it should be selected by an Deft. Should not buy a land which has ponds, lakes, rivers, water bodies, water wells towards Southwest, South or West directions. Should not buy site/plot/land/house/factory when it has a huge buildings, mountains, higher hills, elevated land, heavy stone storage, apartments, towers towards Northeast, North or East directions. Irregular shaped lands also may not provide good results. But a competent scholar would be able to make it compatible. 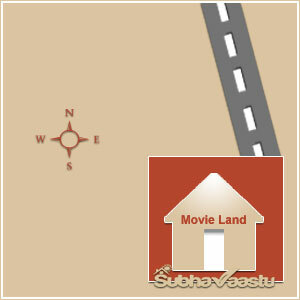 Where the plot has three roads towards North, West and South is not recommended. However, a specialist advice will made it favorable. When the plot has got 3 roads towards East, South and West also belongs to the same category as above, but it will be auspicious when expert visited. Please note that the basic point here is selecting the land / house / plot / home / site, so without Guru advise should not take any decision. At any cost don't approach quacks at this moment. We urge you don't approach half knowledge scholars in selecting the land. Selecting the land is the primary thing and relevantly cause for the future endeavors which are benevolent or malevolent, if you done a wrong step, it may cause life long worries, issues, tension life, disputes, problems, lengthy and tediously complicated situations or such matters to be faced, debts, not feeling comfortable, education spoils, financial losses, etc. Generally, quacks are nescience and live on furphy things. Gullible public easily fall into their sweat language. Their processes are always megillah and never completed until their required payments captures from the inhabitants. Now, this system was changing slowly, residents were also understanding things and moving intelligently, after hearing the quacks payments and their actions of attaching residents with false yantras and thantras dwellers wont accept their consultation and looking to move only towards skilled professionals in this field. Its good idea and appreciated change in the society, still lots of complaints we are getting about quacks moments. Its pity. The intelligent, genius, educated people always search for the truepenny, mensch, reliable and Good Siddanthi only and get their advises. They never check fee / money / professional charges etc. They are looking for only the facts or best results. Here is a small example: Observe this sketch the blue marked house has three sides roads with East, North and West. East is the main road, a person constructed this house investing nearly 2 crores of rupees. Prior to this, he consulted a scholar for a mere rupees Rs.600/-. Even within a span of three years, this house came under the auctioneer's hammer. One should imagine how a person spending nearly 2 crores in buying the land and constructing home has to resort to this state even within a span of 3 years. It's only because of South, West and Southwest are totally open land. A large open space towards South, West and Southwest would not allow you peaceful living. However, there could be exceptions. Approach only famous vaasthu specialist India before taking the decision. Most of the residents are looking for cheaper vasthu consultancy services, this could damage the entire future of the inhabitants. The guru always says that they are still studying this Vaastu science. They never stated that they acquired 100% knowledge, though they knows about the depth secrets of this science vaastu shastra. Their charges are different, they never visit for Rs.600/-, instead of taking such cheap payments or otherwise they may provide free services. They know the value of their services and residents properties. Fortunately, now a days residents know all these cheap payment gimmicks and they are looking only for the Deft in the society who providing consolidated results, they immediately catches the point that the vaastu person has vast knowledge on this subject or not. Really this is good news to Skilled Adept. Here is Another Instance: There was a property apparently having North Northeast street thrust, which is generally considered as an auspicious property. A person with perhaps some elementary vasthu knowledge thought that this is a best bargain and invested in the plot and built huge theaters at huge cost. In a span of 3 years this property lost its attraction and business had to be closed. What happened? at the time of buying the buyer did not realize the actual origin of the thrusting street, it was coming from Northwest. Though Northern-Northeast street thrust is good when such street travels for a considerable length in debilitating areas it gives adverse results. This was not realized by the buyer because he did not have professional advice. Negative results are the consequences. What is the cost of his project, how he was came into a decision that the street focus is a auspicious. Why he was taken such a decision. The wrong decision collapses three theaters, approximately 50 employees and 100 indirect employees lost their food. A small mistake abundantly makes misery in many lives. Its 1990's history. Dear visitors, please read fate power and move wisely. Right decision in correct time is the luck. Right decision in wrong time and wrong decision in right time are both same and merely waste of your valuable time and money. There are many skillful professionals in India, invite them and have peace in your life. We wish you all the best. There are three types of consultancy. Phone consultancy is unreliable. It is not certain the person is conveying the actual problem correctly to the Guru nor it is not possible for them to comprehensively understand the problem and convey residents solution. Most residents now a days requires only phone discussion, most of them require too emergency replies, what ever they may be. That is why Guru never accepts for the phone consultation, because its not a trust worthy in understanding facts of the property. Honestly speaking its purely time waste to the both. Online Consultancy: This is slightly better than phone consultancy. The absence of study of the neighborhood of the plot which is important in evaluating the worth of the plot is totally absent in this method. The visualization of the site or house is sketchy. Often it can be off the mark. Further, the topography of the site or house or a property is not accurately portrayed in the plan, nor it is possible. Various heights of the walls nor their thickness are clearly marked in a plan leading to errors in judgment. As such the analysis of the site is greatly handicapped. But in certain cases this is the only way to have the online consultancy, for example, if you are living in USA and thought to buy a piece of land, then generally its not a easy thing to call Guru from India, so its better to have online consultancy. If you are planning for this method then please provide complete information of the site, negligence may leads entire life unhappy and scared. Please be cautious when trying to procure the site information. Personal Consultancy: SubhaVaastu finds no alternative to this third method. A site visit addresses all the drawbacks observed other than in the first two methods and the site or house study is comprehensive total and complete. As such the analysis can be far more accurate. In this method, maximum information will be covered and its a chance to achieve our goals with this way of consultancy. You may plan for this option, we are not suggesting you to have our consultancy, you may choose any one but he should be more responsible and respectable. Please note that Vaastu is an occult or abstract science. It works on planes other than visual. There is no guarantee or certainty of any event taking place by all itself. However, there is a great possibility of every analysis being accurate and compelling the inhabitants face them. We urge residents to select only the professionally skilled and knowledgeable consultants for their ventures, should not choose semi skilled, unskilled consultants and not to go for animadversions, don't waste your time and money. Select only the best in this field for your properties and enjoy your life with your family members. In our large experience, we found many miracles and got experiences. What we urge people, don't take this science as your profession, don"t settle as a shastri. Please choose any other profession. We cannot change the fate of a person, only God has to decide every thing. Must read: When can we expect Results after corrections, read this RESULTS article Vastu Results. If you wish to contact us then here is the link for SubhaVaastu Contact Details. After vastu corrections when can I expect results? What is Fate, is there any significance for this word here? What are the best vastu tips and techniques on Factories? How to stop heavy losses in Trading business through vastu help? I seen one East facing plot which has Street thrust, is it good to buy? Need to buy home at Panchsheel Park, who is best vastu consultant in Delhi? How to make my shop as per vastu and where to sit, cash box placement etc? Our plot is rectangular one, we have to construct the rectangular home, is it OK? hi, we have one plot measuring with 40X60 in Gurgaon, now decides to start the house construction, our office is also very near to this plot. Decided to have specialized recommendations from one of the best specialist in Gurgaon area. where is your office in Gurugram, can I come and meet you at your office, require to show my plot and office, your visit is required. Do you charge any payment for visit. 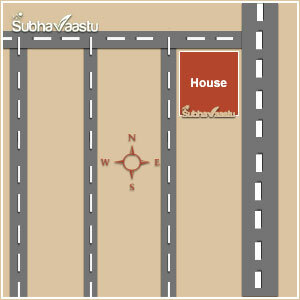 Dear sir, my house will south – east face and south we have gate and east we have main door entrance. In dis we have door is first and next is window My consult is which one should come first whether door or window in east side Waiting for your reply! !